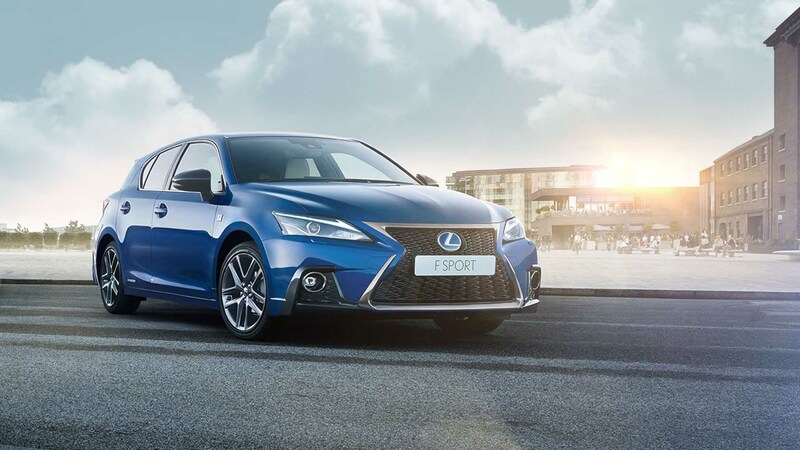 Each F SPORT model takes inspiration from the LFA supercar and RC F , enhancing the already striking looks of the Lexus range with sportier styling. 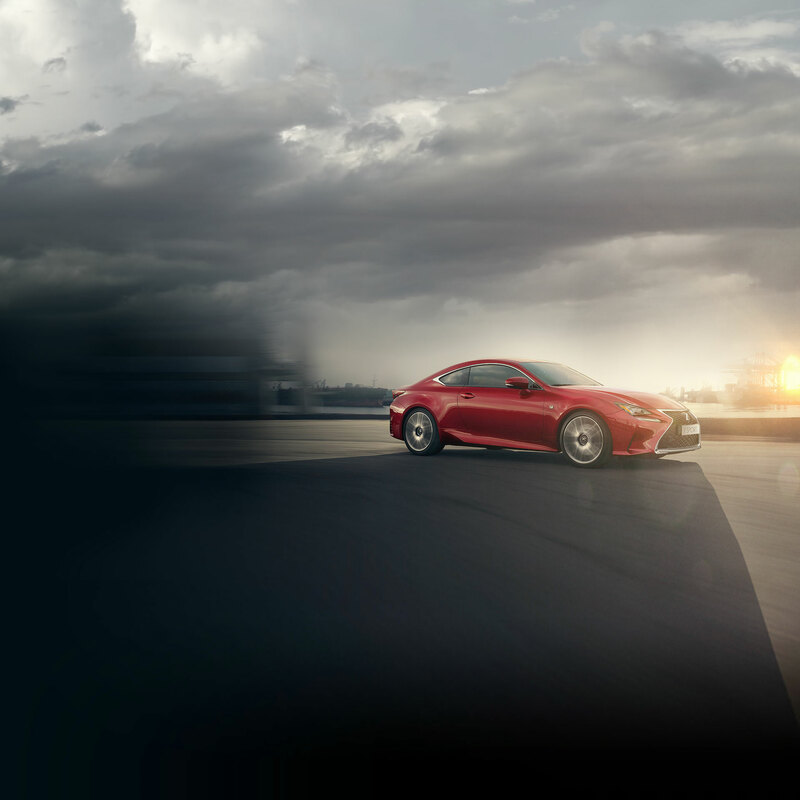 The Lexus F Philosophy is infused into every F SPORT through muscular exterior design, sports-focused cockpits and exclusively tuned handling - all to dial up the look and feel of exhilaration for you as a driver. The F SPORT styling is designed to turn heads, with a distinctive spindle grille, mesh inserts and chrome detailing. Large brake cooling ducts and aerodynamic fins on the lower front spoiler emphasise the purposeful and aggressive stance, while increasing downforce. Unique alloy wheels and discreet F SPORT badges complete the design, and reference the race-bred origins of the famous Fuji Speedway. Race-inspired interior features in our F SPORT models include exclusive supportive seating, machined aluminium pedals and the F SPORT steering wheel. Take your seat in the carefully crafted cockpit, and you'll see how every detail is designed to intuitively connect you to the vehicle and its sportier experience. Supporting you from hip to shoulder when cornering, the F SPORT seat design features a more detailed profile and improved fit. The beautiful stitching details are hand-sewn by our ‘takumi’ master craftspeople. The dynamic design of the F SPORT instrument panel communicates all key driving information, so you have performance data right where you want it. Connected to Drive Mode Select, the layered instrument panel varies depending on your driving mode setting. Please note: available on select models within the Lexus range. Wearing the F SPORT badge, the ergonomically shaped sports steering wheel is exquisitely finished in perforated leather, and complements the gearshift controls. Under your feet, the machined aluminium pedals reflect the motorsport design heritage of F SPORT models, providing excellent grip and improved feel. The unmistakable styling of the F SPORT grade is available across the Lexus range, including the compact CT, RC coupé and the RX SUV. The time has come make a statement; discover our F SPORT models for yourself.